Sunday Assembly 7 October 2018 – Hume-anism? October’s Sunday Assembly is focusing on Edinburgh’s place in the development of humanistic and non-religious ideas. Our speaker is John Gordon, lecturer in Philosophy at the University of Edinburgh. John is an acclaimed expert in the philosophy of David Hume, a leading figure in the Scottish Enlightenment of the 18th century and still regarded as the first modern humanist. 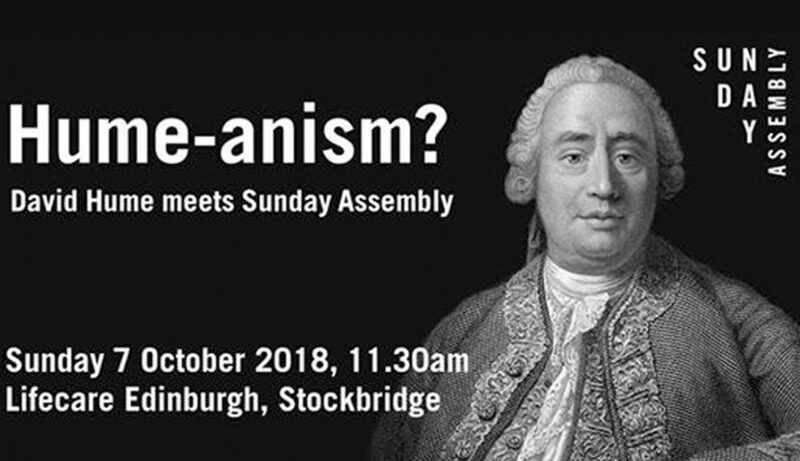 John is a very entertaining speaker, and will connect us with Hume, his world in the mid 1700s and his contributions both to philosophy and to the Edinburgh we all live in in enjoy today – and why David Hume himself would have been an enthusiastic Sunday Assembler!